The Strip That Down singer made a solo appearance at the Glamour Women of the Year Awards in London on Tuesday night (06Jun17), as Cheryl stayed home and watched their new arrival. And despite many new parents being fully aware of the pain that comes with sleep deprivation, Liam has managed to avoid that entirely - thanks to his partner. "It's the craziest thing ever. He's been grumpy today. 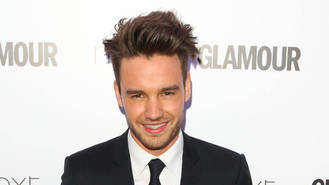 It's the first time he's looked at me and said, 'Daddy please help and I didn't really know what to do,'" Liam said to reporters on the red carpet at the bash. "We had him in the bath, he was having a bit of pain but he's super chill. (Cheryl's) got him in a sleeping pattern already, we're getting seven hours of sleep a night. Everyone's saying have you not slept much and I don't want to say because I'm out partying!" Apart from a snap of Liam cradling Bear, the tot has been kept out of the spotlight. But speaking about his son at the awards, the One Direction star admitted he has his love's best feature. "He looks a lot like me but he has her eyes which is great," he smiled. "Who's he gonna take after? Who knows? He's 11 weeks today. He's the best thing that's ever happened to me. She's the best mum in the world so I couldn't have picked a better woman to do it with." Liam also made what was assumed by some to be a slight aimed at former bandmate Zayn Malik during the ceremony. He was gearing up to present James Corden with his Man of the Year gong when he told the audience: "(1D) never had a slogan but if we had, Zayn might have stayed!" Zayn quit One Direction in 2015 and has since gone on to forge a successful solo career.